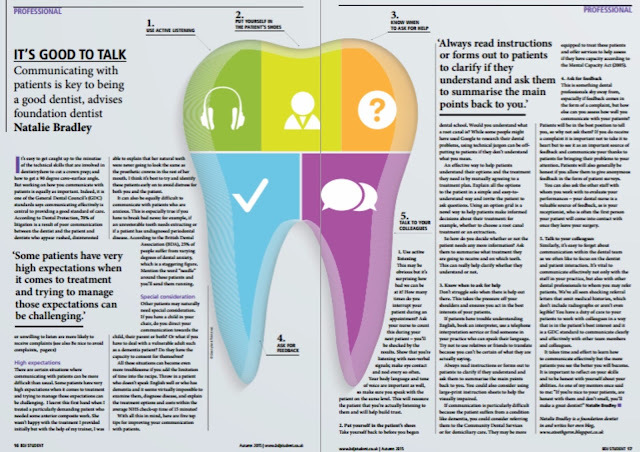 Following my previous post with an article on communication in the Young Dentist FMC, I've been writing my top tips when communicating with patients; this time in the BDJ Student Magazine. Learning how to communicate well with patients can be difficult and is a skill you will get better at the more you see and treat patients. 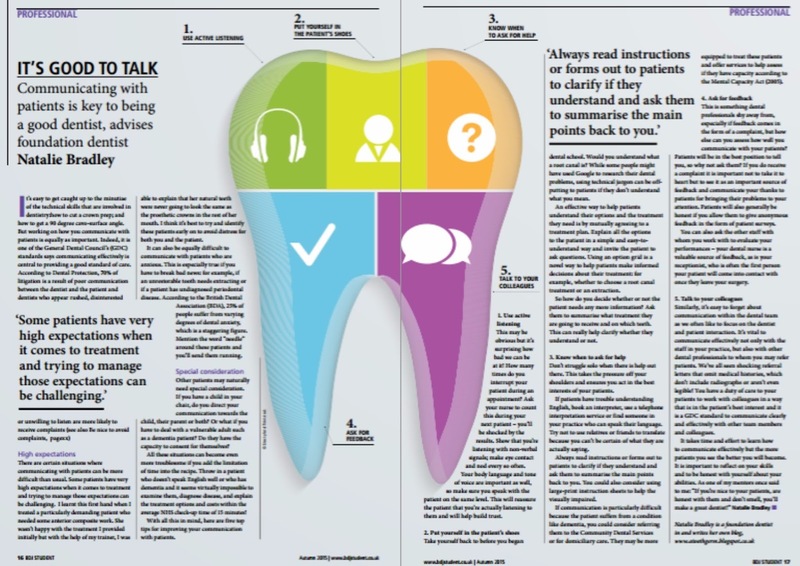 Communication isn't always something we are directly taught at dental school, so learning some structured ways to approach things can be useful. In this article, I share with you some tips I think are pretty useful when seeing patients. Let me know what you think!